This modern Kiddush cup will enhance your Kiddush ceremony and Shabbat table. 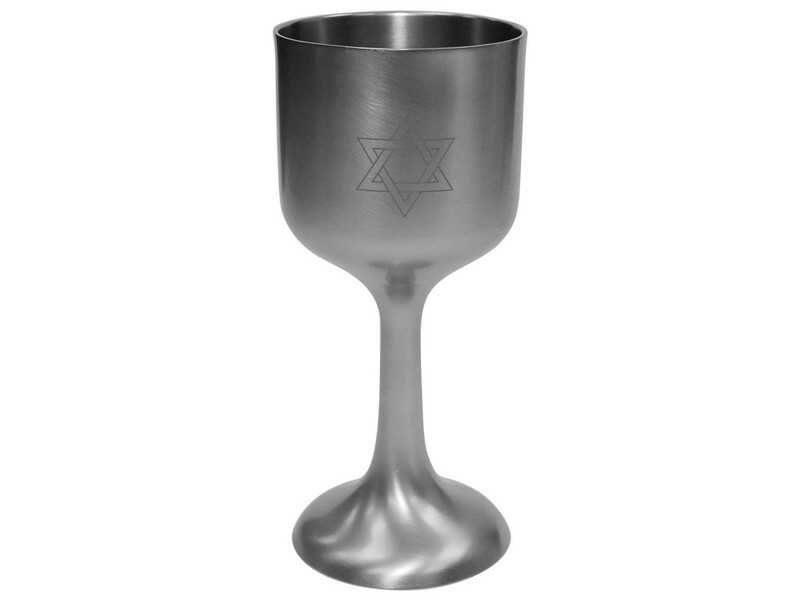 A goblet with a straight shaped leg, this Kiddush cup has a star of david etched into its cup. Made of pewter this contemporary Kiddush cup goblet will add beauty to your Shabbat and holiday table.